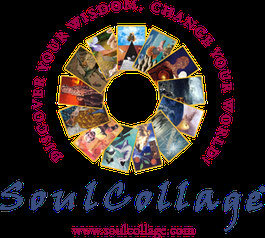 "Surprise is at the heart of the SoulCollage® process. It is a transformational catalyst because it moves us out of our normal channels of thought." "Dem SoulCollage® Prozess liegt die Überraschung am Herzen. SoulCollage® ist ein transformierender Katalysator, weil es uns aus unseren normalen Gedankenkanälen herausbewegt."